Back (l-r): Larry Weitzstein, Becky Kuhlman, Jane Garcia, Donald Bodily, Allen Llewellyn, Kim Maier, Kirk Carpenter, David Hill. Middle: Mrs. Rue, Val Patterson, Randy Harris, Jenny Ford, Kim Barlow, Trudy Mills, Todd Anderson, Robert Fairbrother. Front: Faye Smith, Jeanette Bellafullin, Bruce Harper, DeeLon Jones, Mark Bonner, Pam Draper, Kathy Larson, Jackie Jonas. 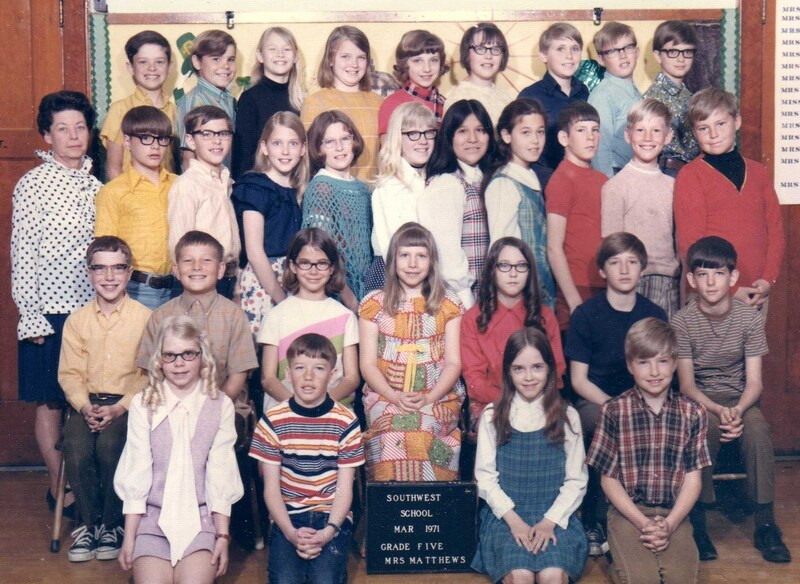 Here is another class picture of my Aunt Jackie. As the sign tells, this picture is from Southwest School in Burley, Cassia, Idaho taken in April 1970. The names were written on a piece of paper inside. If they are incorrect, please let me know. I would be happy to update the information. 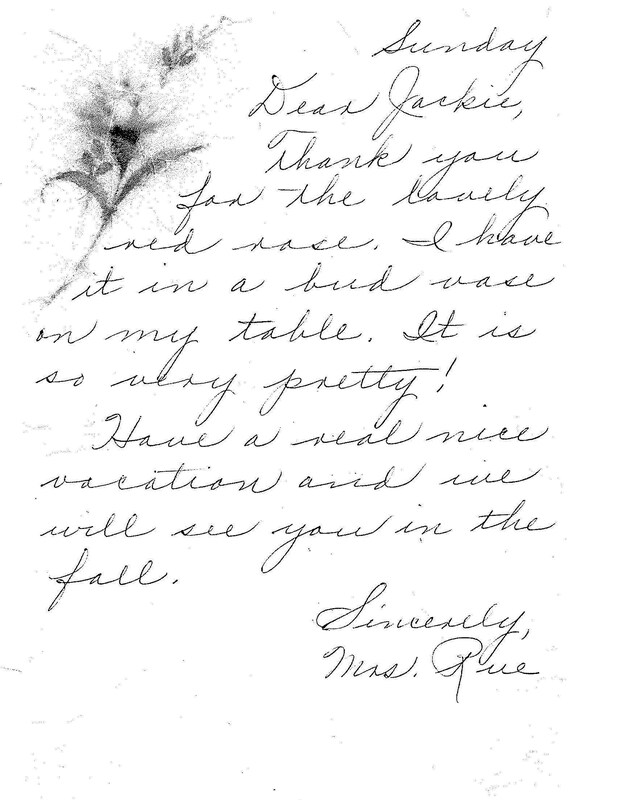 First, a copy of letter from Ms. Rue. Back(l-r): Bret Sever, Steven McDaniels, Becky Kolman, Kim Maier, Gina Richardson, Leslie Easton, Keith Barns, Jeff Holland, Rodney Hansen. Third Row: Mrs. Matthews, Steven Devers, John Matthews, Trudy Mills, Rachell Harris, Lisa Thompson, Jenny Ford, Toye Kopkins, David Lynn, Val Paterson. 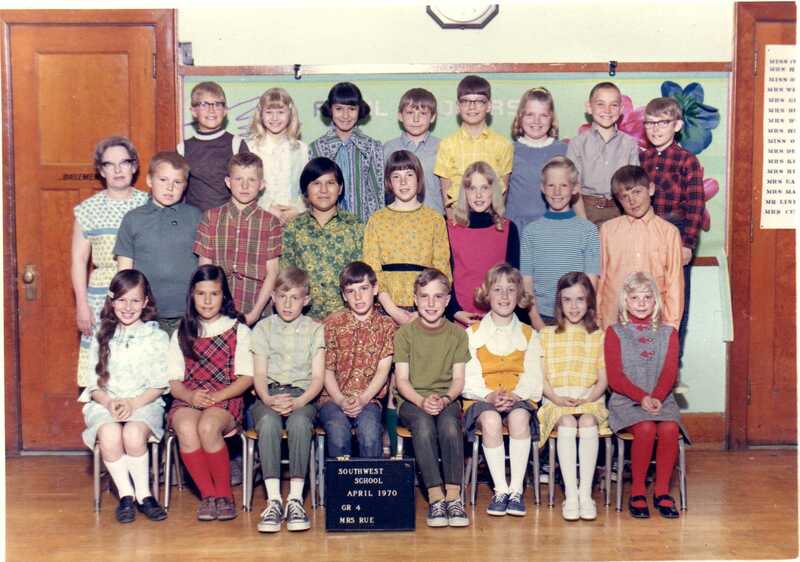 Second Row: Mark Bonner, Greg Morten, Katherine Ringell, Debbie Hatt, Wendy Muir, Cory Parish, Robert Miller. Front: Jackie Jonas, Mike Larson, Kathy Larson, Douglas Brown. 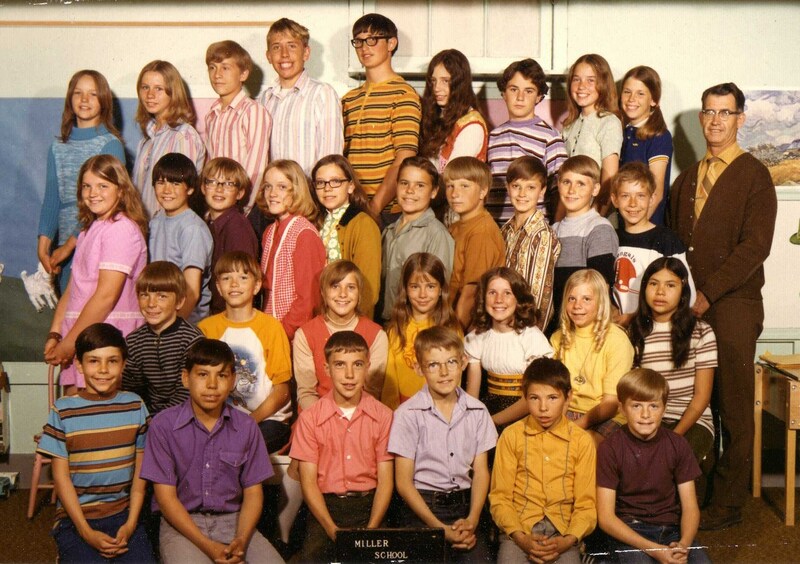 Here is another class picture of my Aunt Jackie. As the sign tells, this picture is from Southwest School in Burley, Cassia, Idaho taken in March 1971. The names were written on a piece of paper inside. If they are incorrect, please let me know. I would be happy to update the information.